YOU GUYS, IT’S HAPPENING. The wall is coming down!! You may have seen our Instagram post last Friday about the new HVAC system getting installed! We’re going to be writing a series of posts as this project gets completed over the next few weeks, so enjoy the first one! 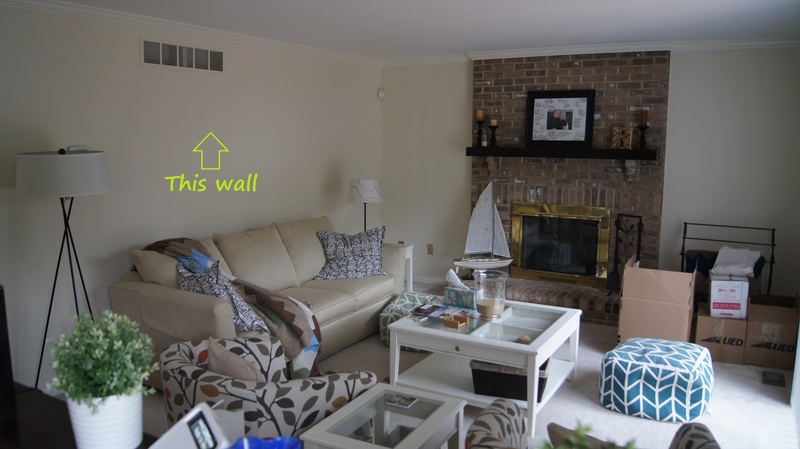 It’s been almost 2 years since we toured this home on our house hunting trip, and when we walked into the kitchen and saw the living room, we immediately knew… that wall would have to come down. When we moved in 18 months ago, it was going to be our first big project on the house, with grand plans to get it out before Connor was born in February 2016 (well it was supposed to be March 2016, but he had other plans). I get so giddy when I see that second picture… why are there not emojis on WordPress?! I need all the round of applause emojis I can get! So here we are, in April 2017, finally getting to it, because well, as with most major home projects… it was bigger and more costly than we initially imagined. And if we’re going to do this big of a project, then we’re committed to doing it right. It may make us go a little insane now, but it’ll prevent more insanity in the long run. So, why did it turn into a bigger project that we imagined? 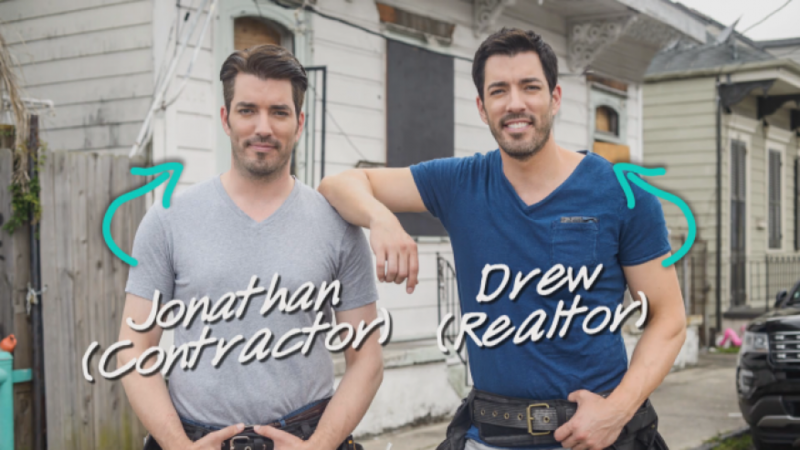 I blame HGTV and these jerks. Hahahaha. Really though, they make removing a wall seem like not such a big deal. Oh, you want to rip out that load bearing wall? We’ll have to put a big beam up in the ceiling, and it’ll cost you maybe $5-6K. Boom. Done. See that vent in near the ceiling? There’s also another one below it behind the couch. Eh, not a big deal, we could probably reroute it somewhere. 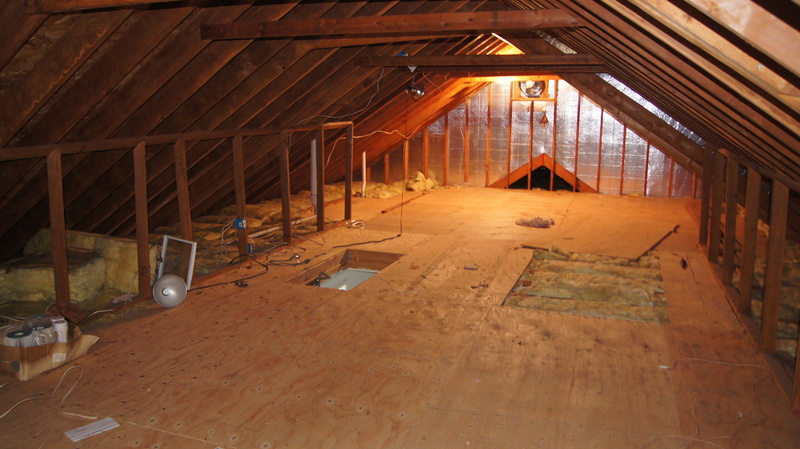 What you don’t see are in every single space between the joists in this wall and hidden behind the drywall are all filled with either supply or returns for the three bedrooms above this area on the second floor. Talk about naive rookies. Ok, so there’s a lot more HVAC lines that are going to need to be rerouted. It’ll probably be a little more expensive than that $5-6K now. So we brought in contractors to give us quotes. Between quotes being all over the place, not even getting quotes or phone calls back, and contractors wanting to bring in their HVAC guys to take a more detailed look at the job, and them not showing up… we decided to call individual HVAC contractors ourselves to look at it. We got a few in, and they actually gave us quotes! Thank the lord. You know why they gave us quotes? Because they took one look at it and secretly rubbed their palms together and thought.. “oh yea, we’re gonna make a lot of money off this one.” Hahaha. Sigh. The rerouting of the HVAC lines was totally doable. It wasn’t going to be cheap, but it was doable. The thing is, every single one of the contractors refused to do it unless we upgraded our HVAC. Our system is original to the house, aka… 25 years old. If you’re not familiar, the typical lifespan of an HVAC system is 10-15 years. So ours was actually doing pretty damn good. However, with all of the rerouting and updates we were planning to it, who knows how long it would work after that. Not only risking system failure, but also continually wasting money every time it runs based on the fact that it’s got the efficiency of a 1993 HVAC system, aka awful. And this method would allow us to not have any supply and returns running up the side walls in our living room that we’d have to hide with a “bump out”. 1 – 1 brand new furnace and AC unit with rerouting supply and return lines along living room wall to supply second floor. 2 – 2 brand new furnace and AC units, one in the attic and one in the basement. 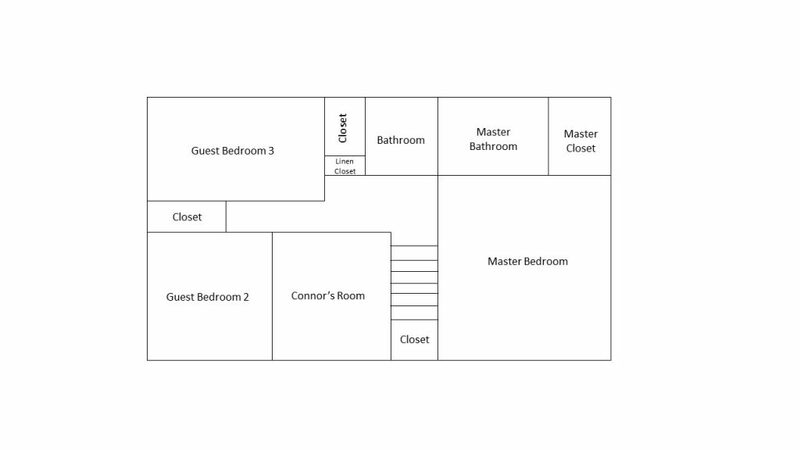 We’d have to close off the lines in the wall and run new ones in the attic to the bedrooms. Can you see the issue here? 2 new HVAC units is much more expensive than 1 unit. Yes, they may be smaller than 1 large one, but that really doesn’t affect the price that much. A new HVAC unit is a new HVAC unit. A larger one with a little more oomph to it is not that much more expensive than a smaller unit. At that point, you’re also adding the maintenance and parts for 2 separate units down the line. BUT…. 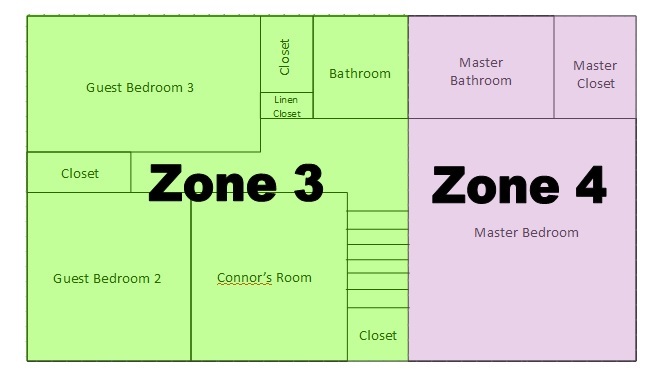 have you ever heard of this thing called ZONING?? The HVAC contractors told us about it. 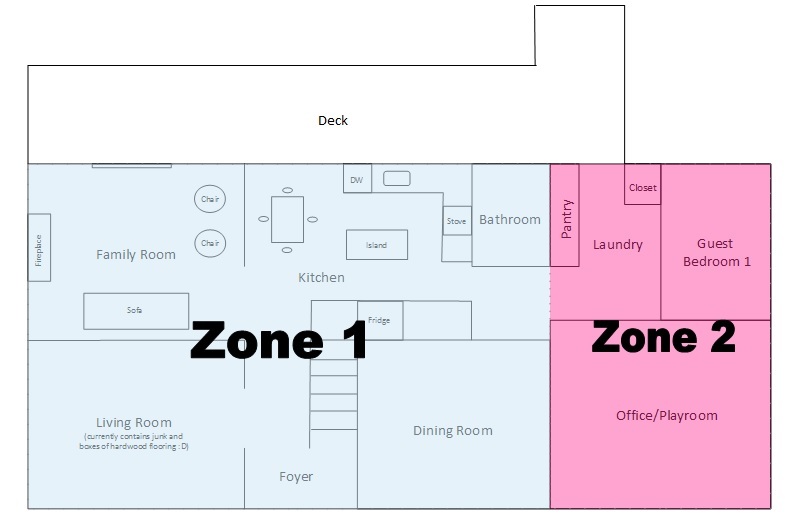 You can have the unit setup to run different “zones”. Each zone would have a thermostat, and the system would adjust dampers in the duct work to restrict or supply airflow to the different zones based off of the temperature setting in each zone. MIND BLOWN. Yes, in case you’re wondering, it definitely upped the price of the single unit system, but only by a little, and definitely nowhere close to the price of the 2 unit system. And each one will have it’s own separate thermostat to control it’s temperature. Of course, David already did his eBay deal shopping for some Ecobee thermostats… I’m sure he’ll write about these in another post. SO COOL. 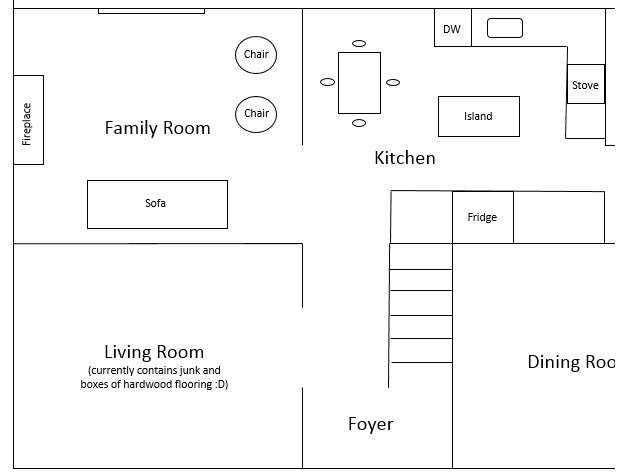 We can have the master bedroom set warmer and cooler than the rest of the house. 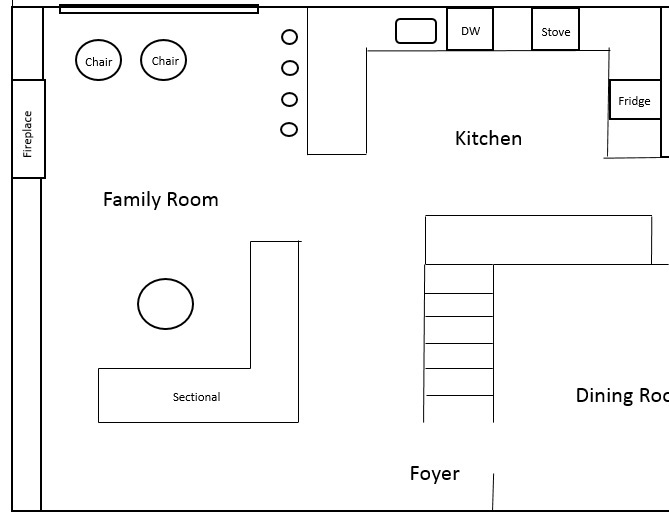 It’s especially great since David works from home, and can have zone 2 set to exactly where he wants it while the rest of the house doesn’t have to be heating or cooling since that’s the only room he really uses during the work day. With this kind of setup, it’s really only worth zoning if you’re going to be able to save some money in the operation of it. The HVAC contractors gave us a few options for our furnace and AC units. Most typical HVAC units are single stage units, as in, it runs at one speed when it turns on. There is also the option of having a two stage system on both the furnace and AC units. This means that when the unit initially turns on, it kicks on one stage to send warm or cool air throughout the house. As it runs, it’ll detect if the desired temperatures are being reached according to the thermostats, and if they aren’t after a period of time, the second stage will kick in. It’s handy to have so that your system isn’t operating at full speed every time it turns on, which saves you some operating costs. It also prevents the system from blasting a whole-house-worth of air through only a few vents, which would sound like a jet-engine, and is terrible for the life of your unit. The price differences between the single stage and two stage units was not big at all, so we decided to spend a little more money to save some in the long run. Here’s a good article if you want to read about it a little more. So if you ever hear me complain about how much we’re spending on this wall, most of it is our fault, so just tell me to shut up. Like I said in earlier posts, we’re generally cheap people, but are willing to invest in comfort and convenience for our home, which is where we spend the majority of our time together. It will take a looong time to recoup the cost in zoning via energy savings, but the extra comfort is worth it. Our old system had one thermostat in the room closest to the furnace which also happens to have a fireplace. Using the fireplace meant the entire system stopped heating and the rest of the house suffers. 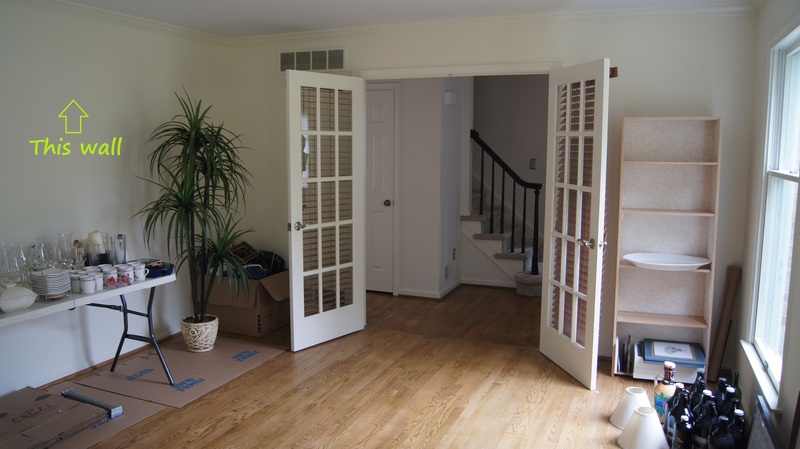 Using zoning fixes that problem and gives us accurate temperature control for the entire house. As of this moment, the new HVAC units have been installed and our contractor is standing in the county office to get a permit to come knock down the wall so that the HVAC contractors can reroute the lines and finish their job. We’ll talk a little bit more about the HVAC install next week!